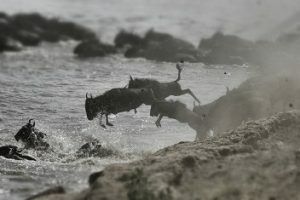 The Safari and Beach guide to the Great Wildebeest Migration, one of nature’s most impressive displays. We believe this breathtaking event should be seen at least once in a lifetime – not just on television, but live and up close. 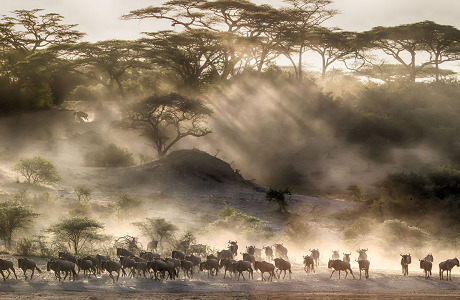 The great wildebeest migration, often described as the greatest show on earth, sees the movement of approximately 1.5 million wildebeest as they move through the Serengeti in Tanzania to the Masai Mara in Kenya and back again. The wildebeest migration is accompanied by up to 200,000 zebra and is the largest movement of any land mammal where the animals travel some 1,200 miles. 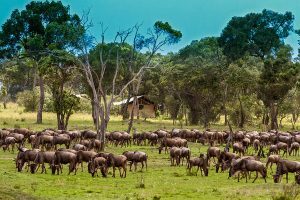 The ecosystem of East Africa, dominated by consistent weather patterns, fuels the migrating herds in a phenomenal repeat of the year before, as they have been for over a million years previously. 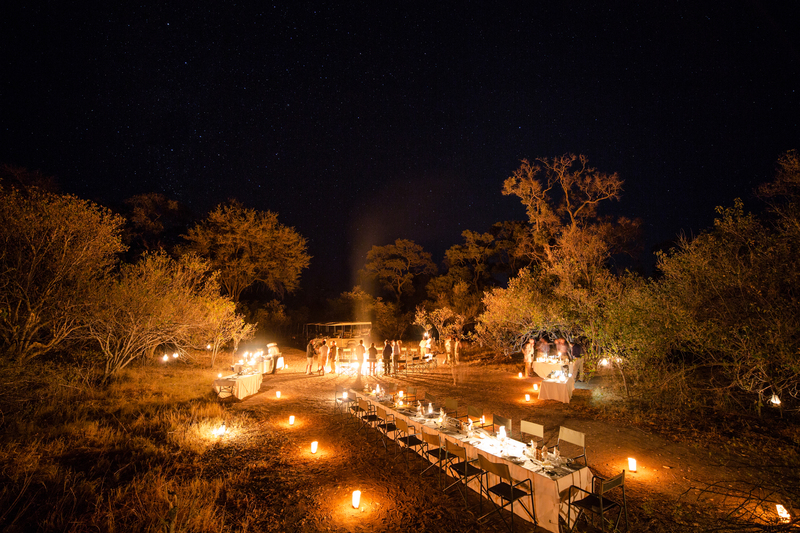 The main catalyst driving the movement is thought to be the lure of the green shoots of new grasslands and fresh drinking water – the core diet of the wildebeest. 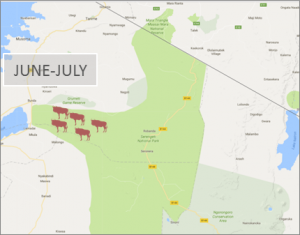 The migration’s specific location is entirely dependent on the rainfall patterns – however, it is possible to make a rough prediction of their location throughout the year. 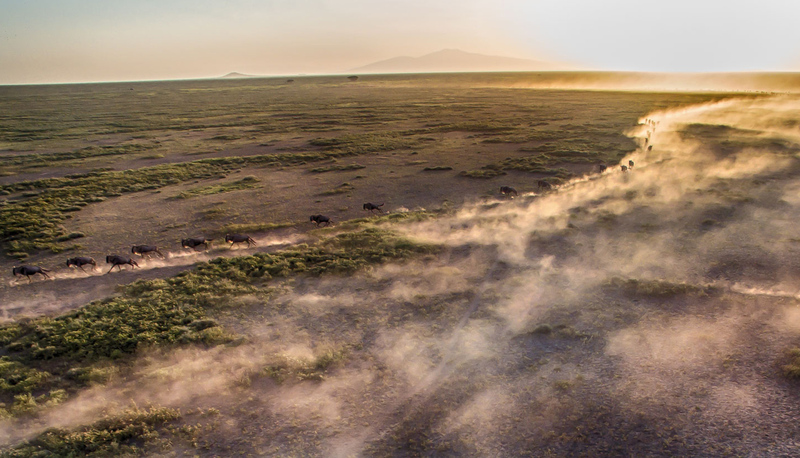 Each stage of this spectacular journey offers a unique insight into the life of the wildebeest as they travel region to region facing a multitude of threats along the way. It is important to note you can always see the migration, it is just where, when and how you wish to see it. 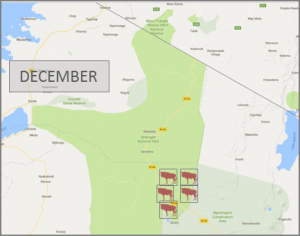 Below, are the migration patterns of the wildebeest throughout the year to help you choose when to go. The herds are camped on the short grass plains of the central Serengeti, enjoying the excellent grazing. 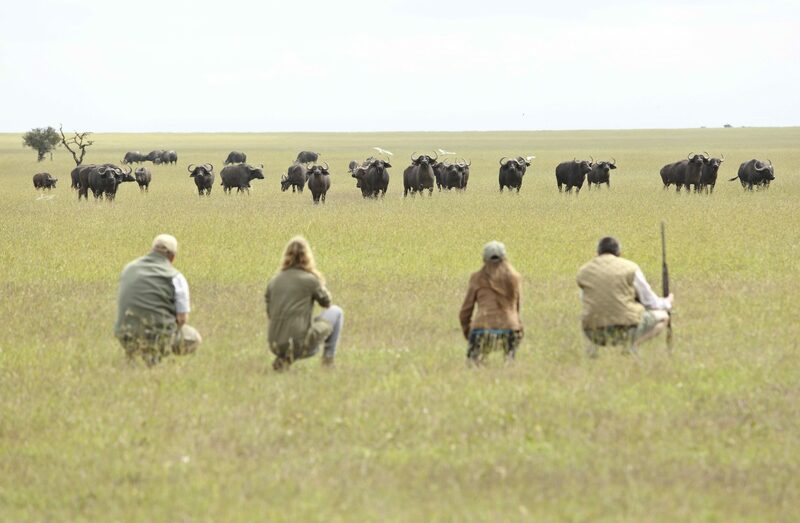 The wildebeest calving season is a short window period during February, creating a lot of activity and excitement with the big cats chasing easy prey. During this time, precipitation builds until the long rains at the end of March. That means good warm weather with some refreshing rain. Why go Jan-Mar? Enjoy mid season prices, cheaper flights and a great way to escape the winter blues. The herds move west across the plains, around Moru Kopjes, often in prodigious columns, preparing for their dynamic movement northwards. This is also the wildebeest “rut” when males fight for their breeding rights. 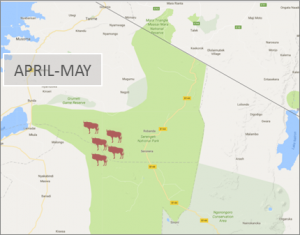 The rains continue to fall until the end of May, making the grasses grow too long thus pushing the the herds north to find fresh shoots. 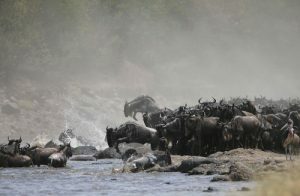 Having moved into the Serengeti western corridor, the wildebeest start to file northwards with some dramatic scenes as they endeavour to cross the Grumeti River. 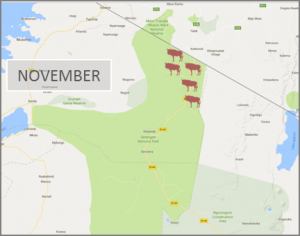 The migration then heads further north and tends to spread out a little more into the Grumeti Reserves and central Serengeti. 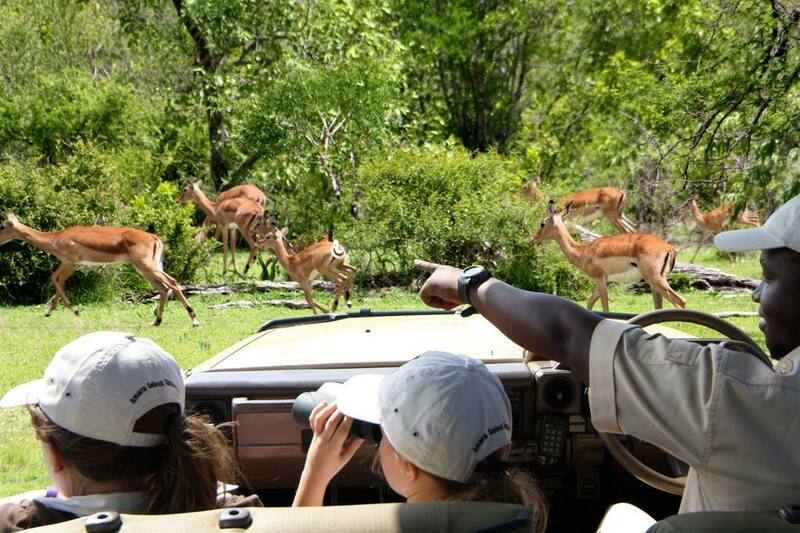 Safari & Beach would recommend this as a good time to be based in the Central Serengeti to give the flexibility to track the migration, whether it beheading west or north. Why go June / July? Mid season rates, not too crowded (especially before the school holidays from mid July), beautiful dry weather. 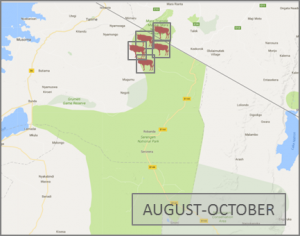 The herds are now spread out across the northern Serengeti, straddling the border of the Maasai Mara in Kenya. This is where the most dramatic river crossing scenes take place, with the dithering herds waiting on the river’s edge for one of the wildebeest to pluck up the courage to follow its instinct to cross. Once one goes, there is a mad rush with sometimes thousands behind. Added to the adrenaline, blood thirsty crocs hide under the water for easy prey and their, sometimes, long awaited feast. Why go August-October? 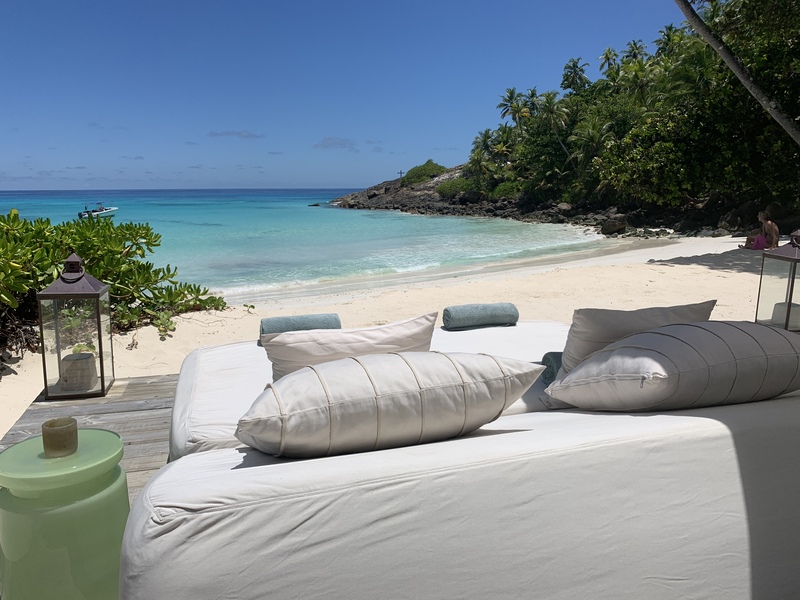 Possibly the best time to go in terms of excitement and weather but it is peak season in August so pricey and busy – if you can defer till September or, even better, October. 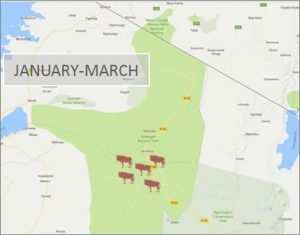 As the short rains begin, the wildebeest start migrating again, moving south through Tanzania to the Lobo area and Loliondo concessions, targeting the fresh green shoots that are starting to appear on the Serengeti short grass plains. Why go November? 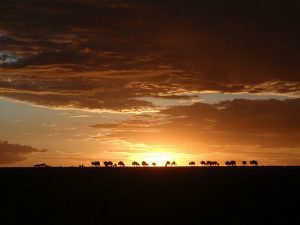 It can get hot and wet in the Serengeti in November, but those who brave it enjoy a more peaceful view of the migration, not to mention the low season rates. After the “short rains”, the herds of wildebeest and zebra move south towards and into the Serengeti short grass plains in the south and east corner of the park, around Ndutu, with some also crossing into the Ngorongoro Conservation Area. 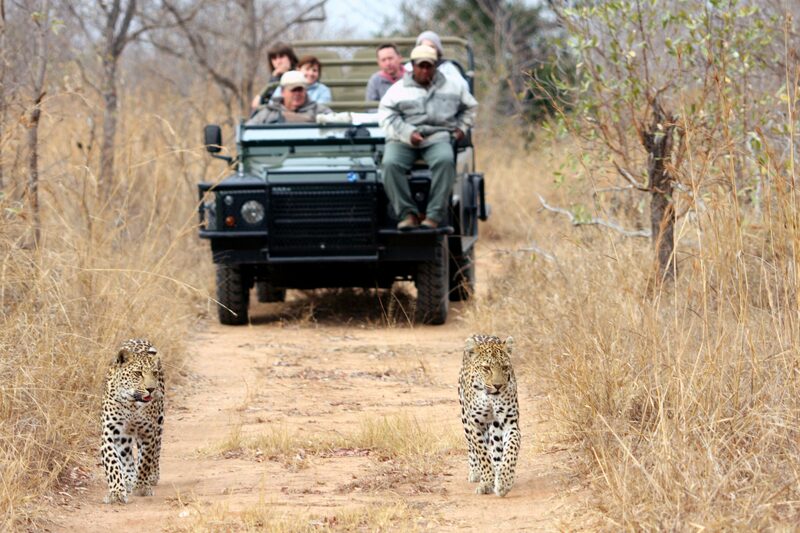 While the cost is slightly higher, it is truly a treat to be on safari at Christmas time. Witnessing this feat is an experience you will never forget. Nor should you. 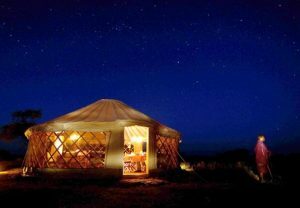 The Great Wildebeest Migration awaits. 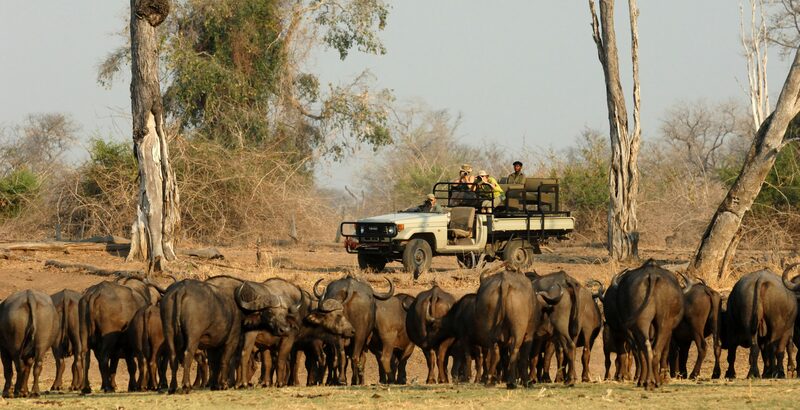 For more information regarding the Great Wildebeest Migration how best to include this natural wonder, in your tailor made trip to Africa, please contact Safari&Beach on [email protected] or give us a call on 01548 854 125.